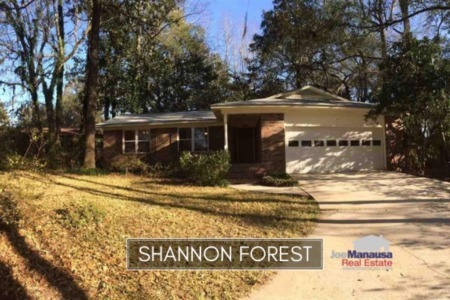 Shannon Forest is one of those small NE Tallahassee neighborhoods nestled along the Thomasville Road corridor. Most people consider it an extension of Killearn Estates, as it offers the same great amenities as its larger neighbor. The following list of homes are the current listings in Shannon Forest. 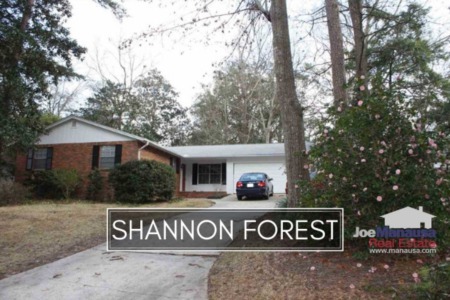 This information is updated every 15 minutes, so you can be sure that it is the most accurate view of available homes for sale in Shannon Forest. 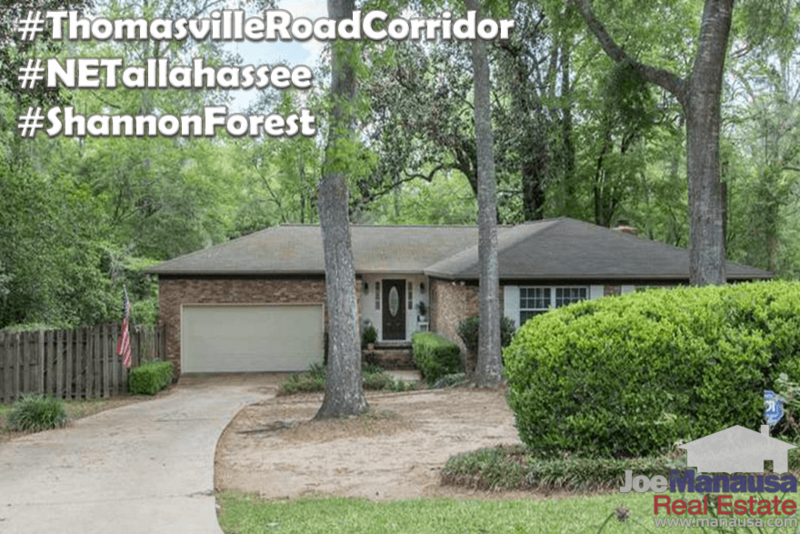 When you combine the super convenient location with its handful of A-rated schools, you can then understand why Shannon Forest will remain extremely popular for the foreseeable future. In our past reports on home sales in Shannon Forest, we warned buyers not to wait ... that home prices were going to move much higher. They have, but our advice still stands, as you'll find this trend has a long way yet to run. In this report, take a close look at home price trends, home value trends, and home size trends in Shannon Forest, as well as the table of all closed home sales going back to 1991. It is important to note that the narrative contained below is for sales through December for all previous years, but through mid-month in April 2017. The graphs and the closed sales table will be continuously updated into the future (meaning bookmark this page if you always want to know the current status of homes in Shannon Forest). If you thought that Shannon Forest home prices soared in 2016, well then take a look at the graph below. They certainly are moving higher now. There have been just 2 closed home sales in 2017 after last year's near-record-setting sell out. Currently, there are six homes for sale in Shannon Forest and three are already under contract. Average home values in Shannon Forest are up nearly 10% in 2017, and this is after soaring more than 8% in 2016. This is where a less-respectful housing reporter might say "I told you so." :). Thus far in 2017, the average value of a home sold in Shannon Forest has been $115 per square foot. The average home size sold in Shannon Forest typically falls in a range of 1,800 to 2,000 square feet, but this year we have seen sales above the top of this range. The average size of a home sold in Shannon Forest in 2017 has been 2,223 square feet. The following list shows more than 400 home sales in Shannon Forest going back to 1991. I hope you enjoyed our April 2017 update on home sales in Shannon Forest, please feel free to drop me a note if you have questions not covered in this report.